Gloversville, NY (April 15, 2019) – Police have released the name of the man who was sadly killed in a fatal pedestrian accident that took place on Saturday night, April 13th. 61-year-old Lawrence Douglas Irby, Jr. was tragically struck and killed by a motor vehicle that fled the scene along East Fulton Street during the nighttime hours. According to authorities, Irby was hit by an SUV while walking along the aforementioned road for reasons that have not been released. The driver of the SUV did not stop to offer assistance or cooperate with police but fled the area instead. On Sunday, April 14th, police were reported to have found the SUV with front end damage, as well as three individuals who were involved in the accident. However, those individuals have been released, although the SUV driver remains in custody. Criminal charges are pending as the investigation into this incident continues. 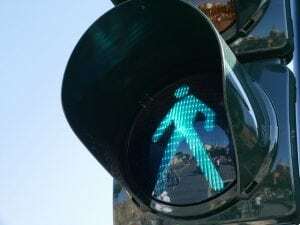 New York pedestrian accidents often prove to be fatal, especially since there is zero protection between the vehicle and the victim at the time of impact. Before moving forward, we would, first and foremost, like to extend our deepest condolences and most heartfelt thoughts and prayers to the loved ones of Lawrence Douglas “Doug” Irby, Jr. during this tragic and upsetting time. We understand that it can be extremely difficult for the bereaved family to focus on anything other than their emotional recovery at this time. However, it is essential to realize that you may likely have significant rights regarding compensation for your loss. At Hach & Rose, we are here for you 24/7 as we have made it our mission to hold negligent and blatantly criminal parties responsible for the devastation that they cause. If you have lost a loved one in a New York pedestrian accident, please do not hesitate to call 212-779-0057 today.